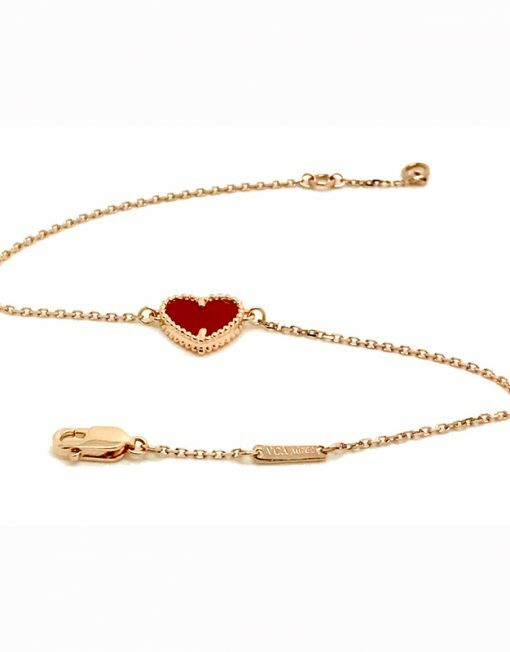 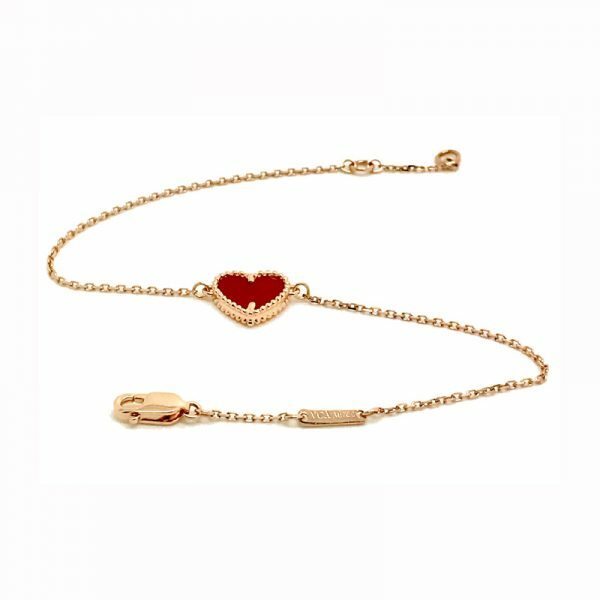 Van Cleef & Arpels Sweet Alhambra Bracelet in 18k Rose Gold with Carnelian Heart Motif. 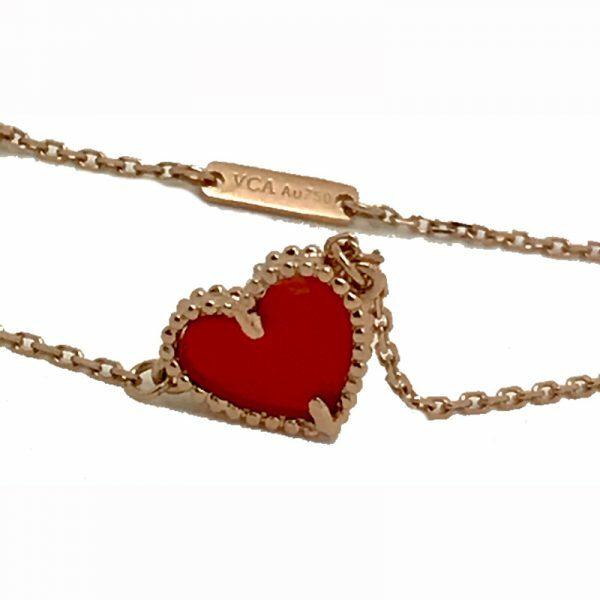 Length 17 cm. 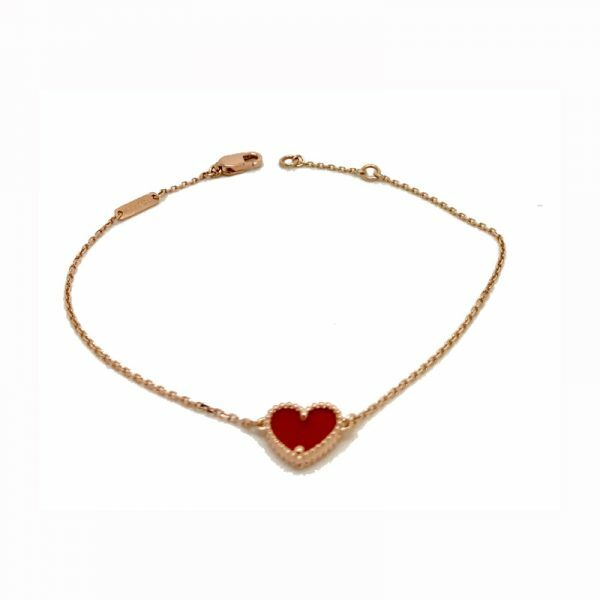 Heart motif approx 9mm. 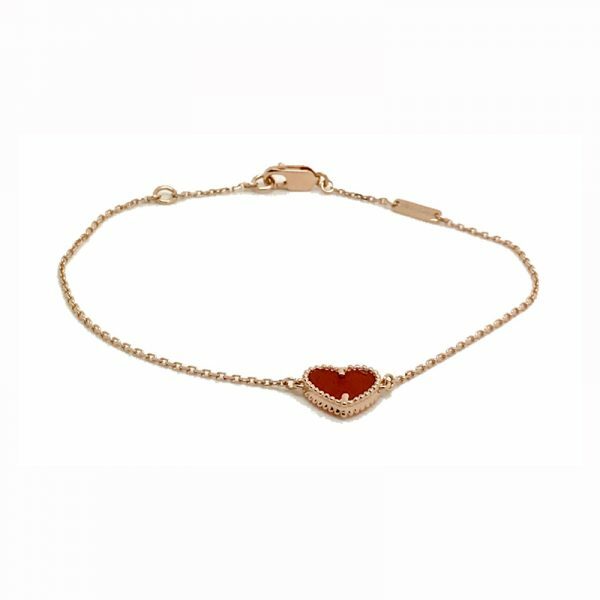 This delicate bracelet has a delightful carnelian stone that changes from light to dark red according to the light. 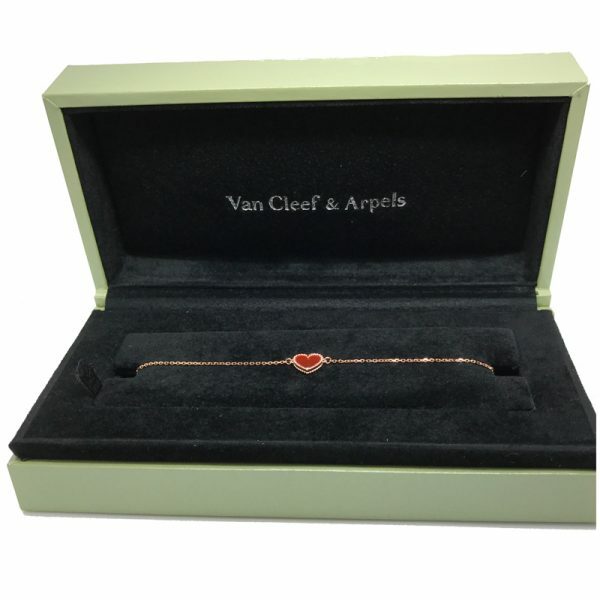 The bracelet comes in a Van Cleef & Arpels presentation box with a certificate of authenticity from Branded Jewellery UK.